We are an Expert Magento Web Development Company here for you! We are a full service Website Design & Magento Web Development Company based in Birmingham with over 20 year experience in the ecommerce industry. Our objective is to build long term working relationships with customers to help them maximise their on-line growth and sales potential. Magento has proven itself to be a world leading e-commerce solution that delivers high performance results. It offers you superb e-commerce functionality and also comes with a huge array of add-ons to further enhance your on-line store, whatever direction you choose to go! 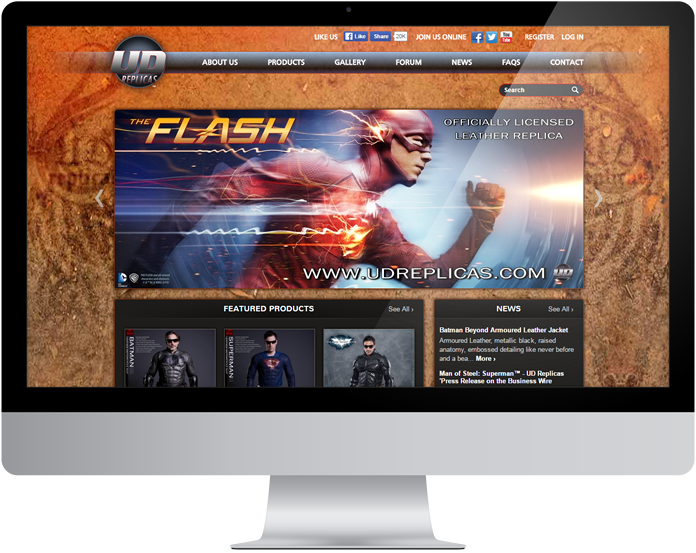 Globalgraphics offers you two design solutions for your new Magento website. Choose our custom web design service to create a completely unique design for your store, or let us help you choose a Magento website theme for your new website's design. With either your new e-commerce website will look fantastic! The E-commerce experts We have been creating amazing e-commerce website solutions for over 20 years. Don't take our word for it! Our clients include Xerox, Ladbrokes, Al-Ko, British Horse Society, British Limousin Cattle Society, JTC OmniBlend and more! Experience, experience, experience We'll say it again - experience counts! You'll get the best advice from our expert e-commerce professionals. Full Support We're there to fully support you when your new Magento store launches. Magento is now the leading and most used commerce solution and platform on line. There are over 300,000 merchants using Magento worldwide. This platform gives you maximum flexibility to customise your website and easily integrate it with other systems, leading to an overall better shopping experience for your customers. This then leads to higher sales, increased revenue and greater customer retention. Appearance and User Experience (UX Design) is everything. Poor design leads to poor sales - don't be fooled! Our Magento Designers know what they are doing and how to best layout and design your store to help maximise conversions. We work with you to come up with the best look and feel which helps promote your brand and gives your customers the best possible shopping experience. When it comes to design - experience matters and we have plenty of it! Magento has a vast range of features and functions. We are able to customise the platform and mould it around your exact business model and requirements. Our in house Magento development team based in our Birmingham offices will help you meet your business needs and goals. We assist our clients to integrate their Magento stores with other process management systems like, shipping, order and inventory management, delivery companies, payment gateway providers (for secure payment processing), ERP, CRM and accountancy. When your new Magento store has been built we undertake rigorous testing to ensure that you have trouble free store management and customers have a completely satisfying shopping experience. We'll then provide you with full training on how to manage all aspects of your on-line store. Once you are ready to launch your new Magento store we'll be there with you all the way, providing with technical help and support as and when needed. If you're looking at Magento as a solutions for your new on-line store, then why not talk to the Magento experts? Call us on 0121 667 8667 today, or please fill in the on-line form below and we'll be in touch as soon as possible.